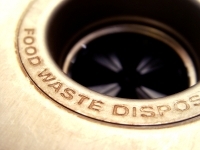 Garbage Disposals are very useful for grinding up small amounts of food to prevent kitchen blockages. If yours is jammed, leaking or inoperative our experienced and knowledgeable service technician will be able to make any necessary repairs and if a replacement is needed he will have on hand two different size insinkerators for you to choose from. © 2019 My Plumbing Doctor. All Rights Reserved. Website Designed and Developed by Crest Media Inc.